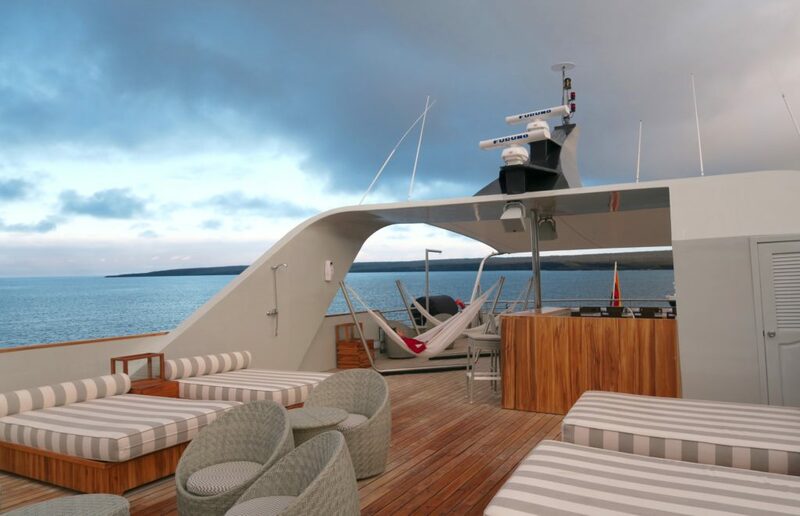 Luxury Cruising in the Galapagos with Ecoventura's MV Origin - Holy Smithereens! 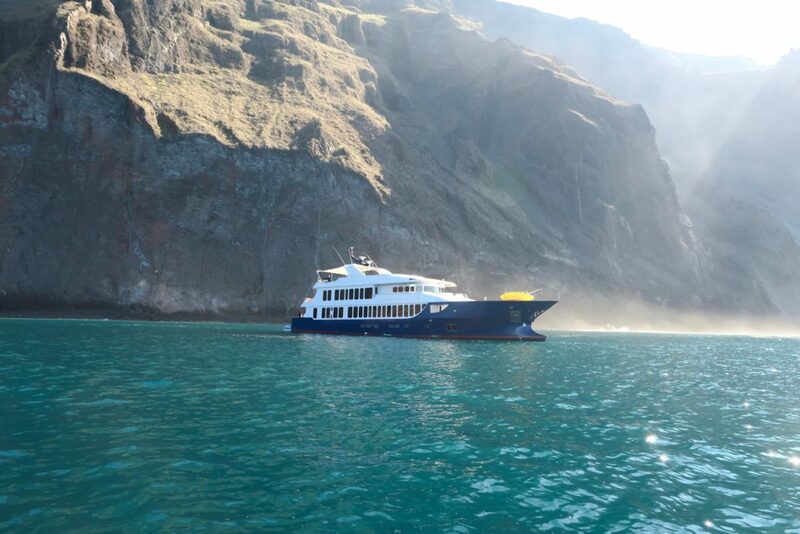 Operating since 1990, Ecoventura has been leading sustainable expedition cruising in the Galapagos. 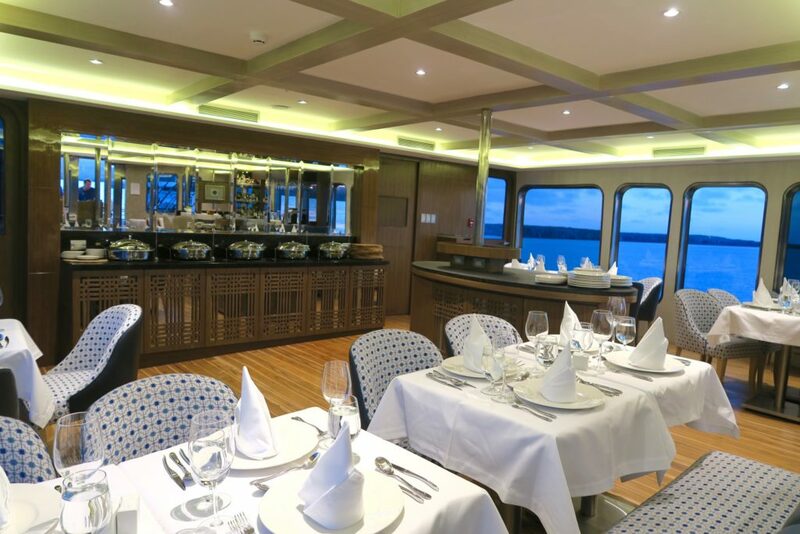 In February 2016, they launched their latest premium class vessel, the MV Origin. I went on a week-long cruise with them, and here’s a mini-tour of the luxury vessel. 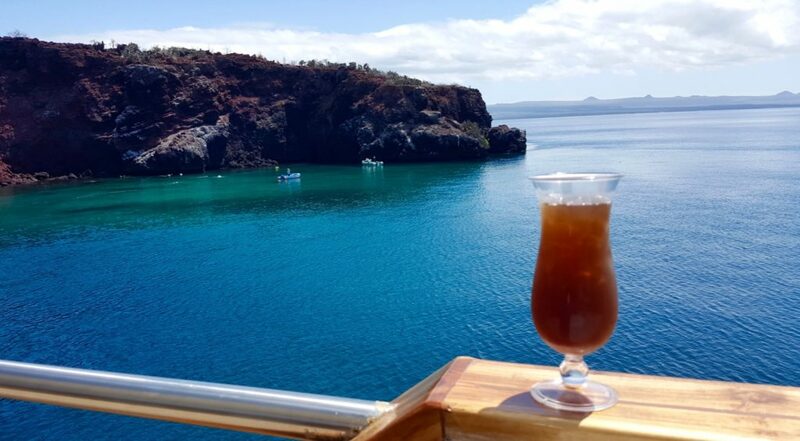 As the Galapagos is made up of several different islands, cruising is no doubt the most popular way to explore the Galapagos Islands. 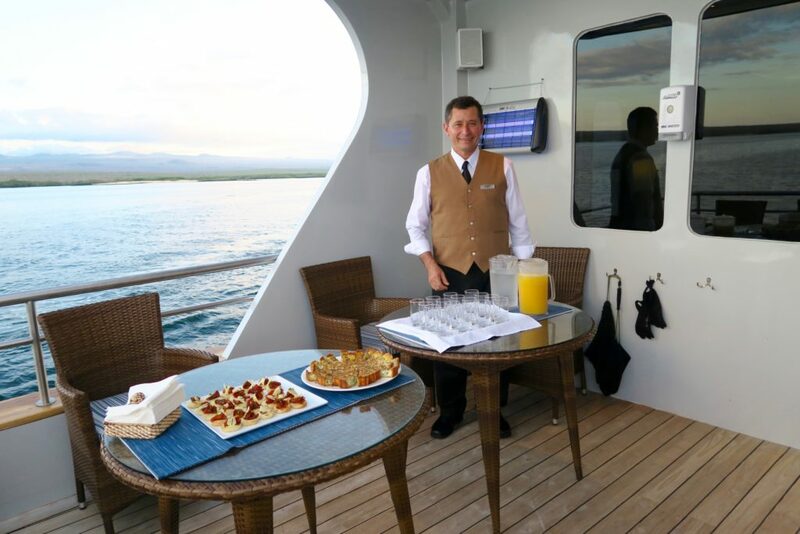 Luxury cruising in the Galapagos is also a famous option as it is great to combine comfort with adventure in a destination like this. 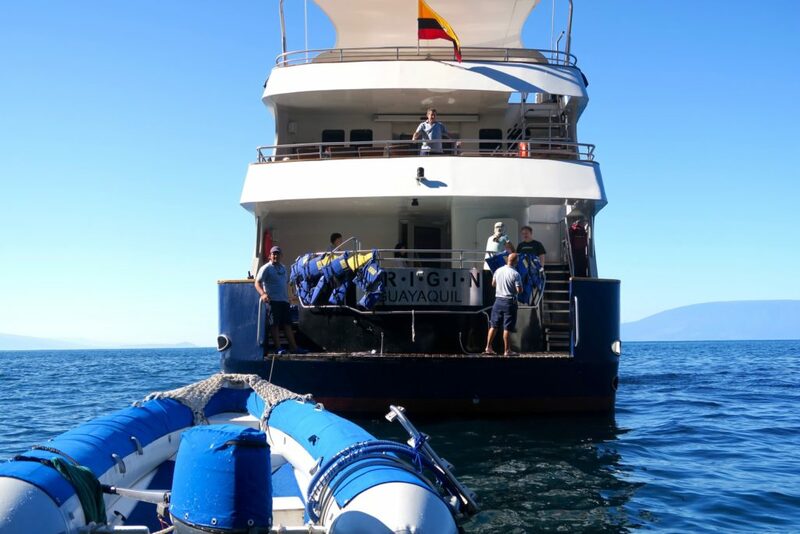 There are dozens of companies offering cruises around the Galapagos, all with different vessel sizes (from standard cruise ship sizes to small yachts). 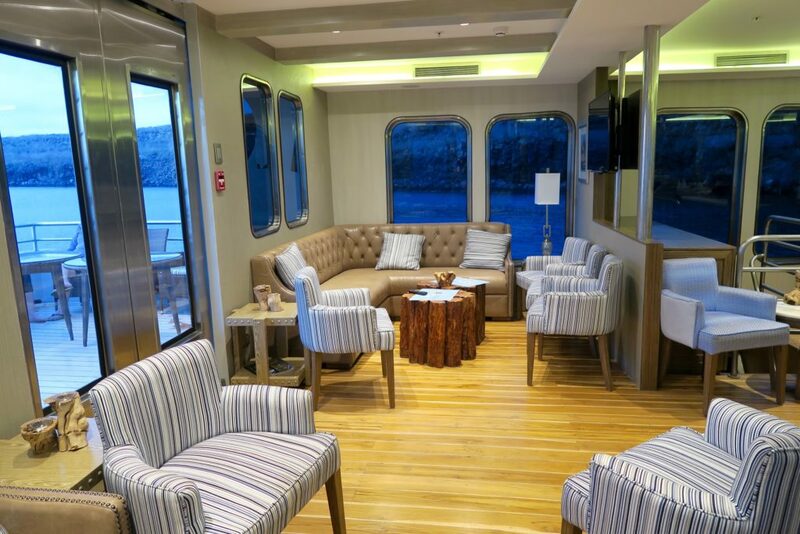 Every company and vessel also offers different kinds of experience, from just basic necessities to the ultra comfortable, such as the MV Origin. 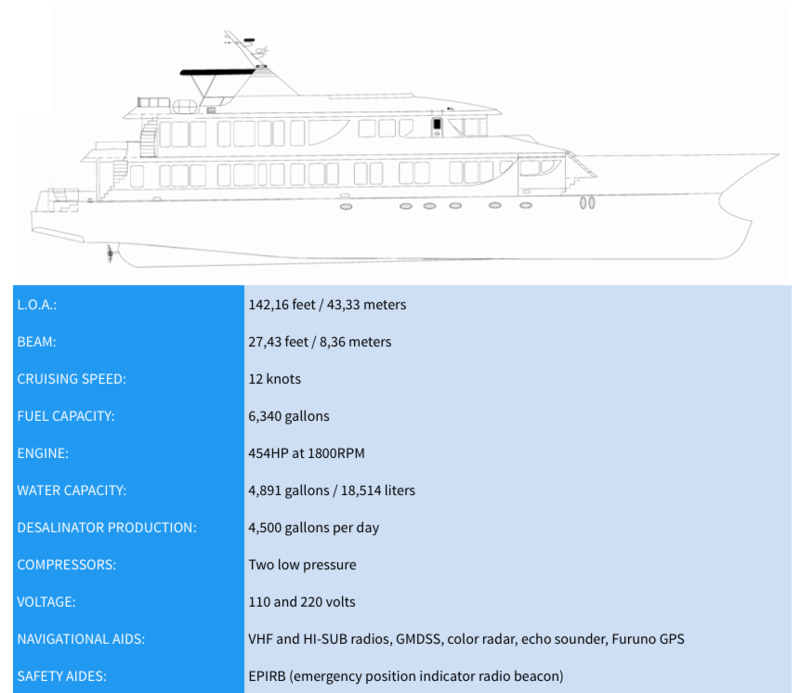 In comparison to other yachts and vessels, the MV Origin may seem bigger. But that doesn’t mean that it carries more passengers. 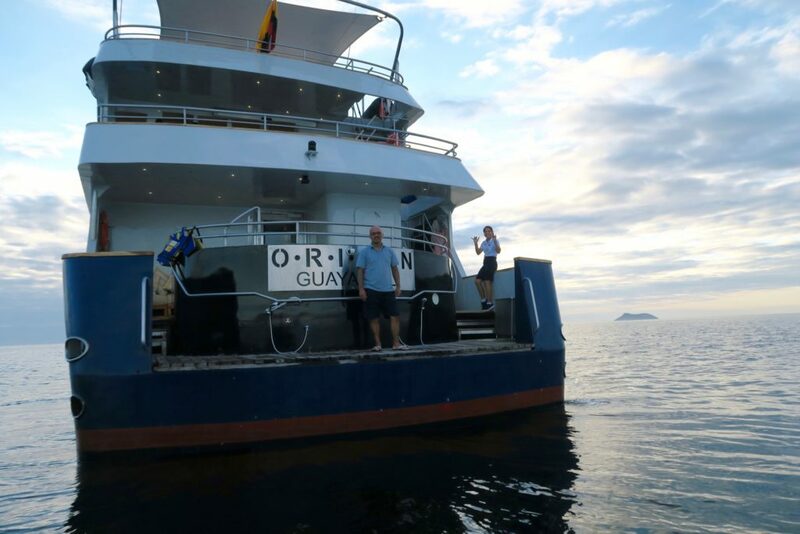 One of the things I loved most about cruising the Galapagos on the MV Origin is the intimate size. The vessel can accommodate up to 20 passengers on full capacity, and our group only had 13 people. Perfect size. 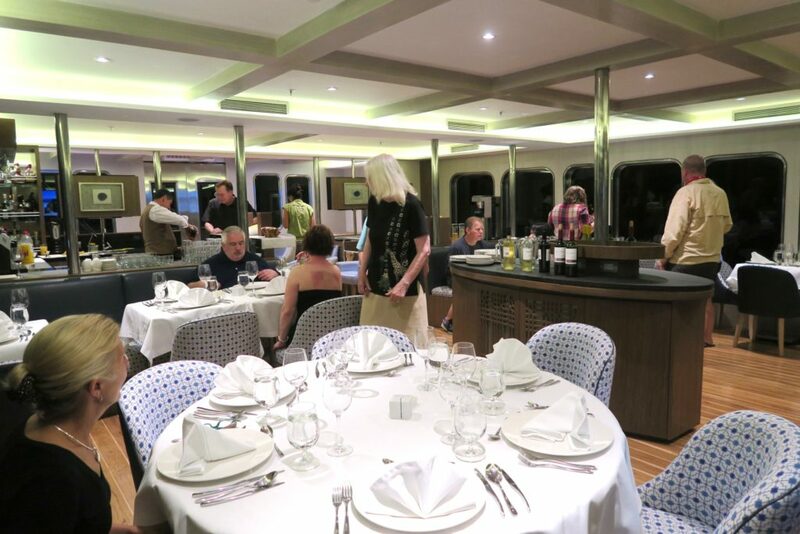 The MV Origin is composed of 4 levels / decks, and the main deck (also known as the Beagle Deck) is comprised mainly of the staterooms (all rooms are located in the same level). 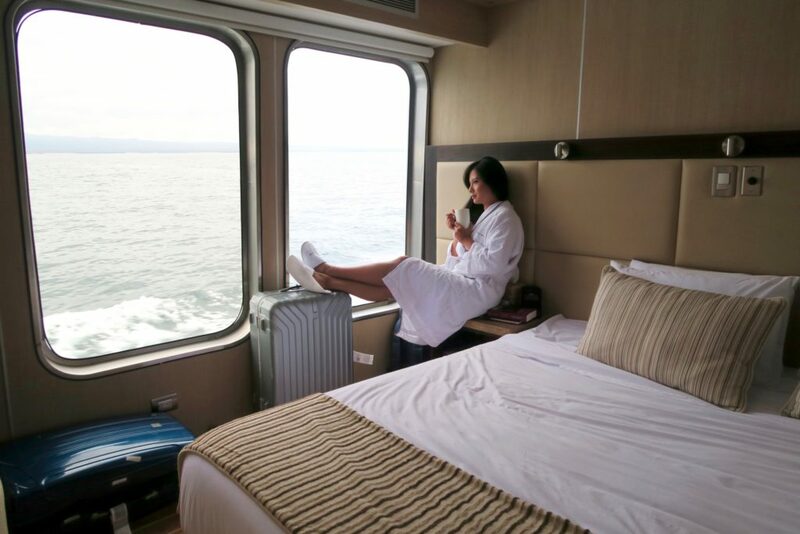 The MV Origin may be bigger in size but that’s because all 10 staterooms have the same size: 140 square feet, all with large oceanview windows (one-way vision). The room is equipped with memory foam and soft pillows, nightstand, closet, sitting area, a universal docking station, an Apple TV with pre-loaded movies, safety deposit box, lighted mirror, and tea kettle set up. I’m really impressed with housekeeping of the rooms. 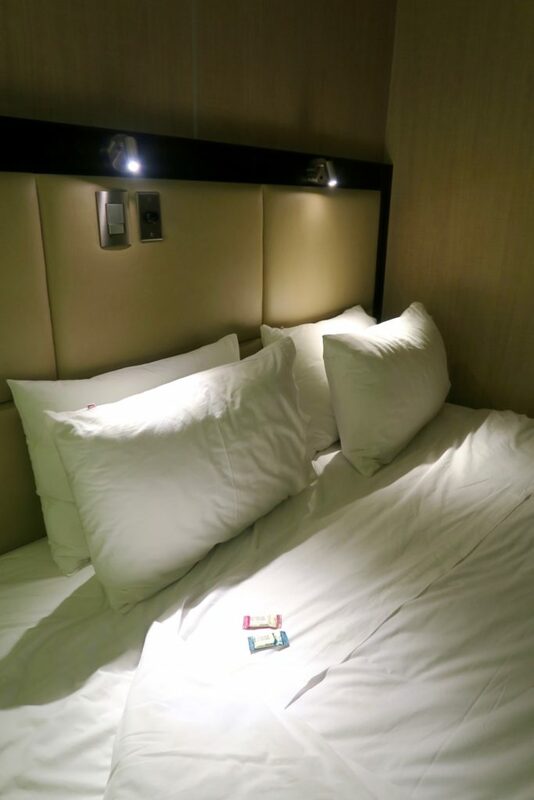 Rooms are tidied twice daily, with turndown service including Ecuadorian chocolates. 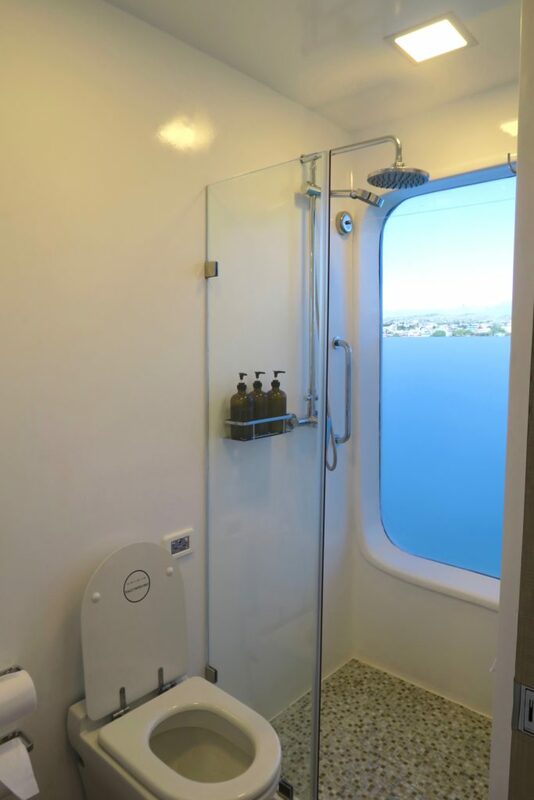 My favourite part has to be the bathroom, where you can shower while enjoying wonderful views of the Galapagos. Talk about multi-tasking! Bathroom amenities include a hairdryer, biodegradable shampoo, conditioner, body wash and lotion. Plush towerls are also given. 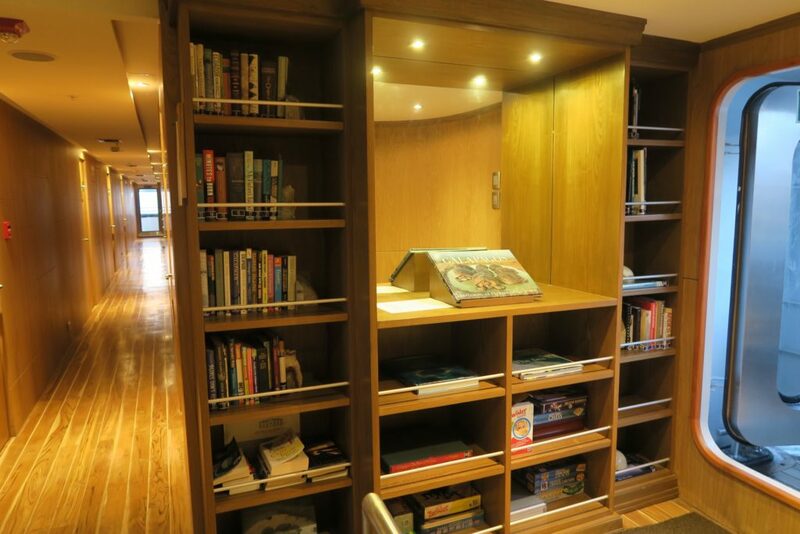 Located at the end of the main deck is a min-library, where they have new books about the Galapagos, South America, and a few fiction novels as well. There were also board games but I never found myself needing anything from the library. All our activities, enjoying nature, and getting to know the other guests seemed to be entertaining enough! 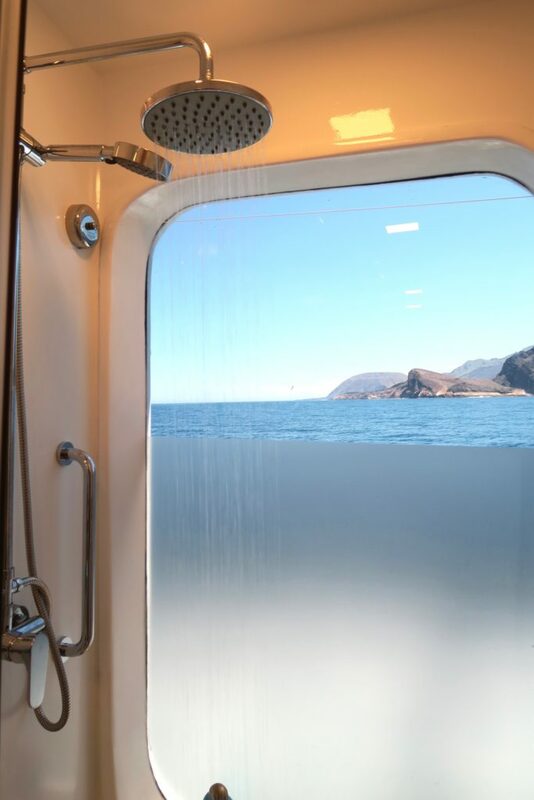 Also located on the main deck is an outdoor jacuzzi that the staff fill with salt water and switch on everytime we get back onboard after a water activity. I normally leave my videos towards the end of the post, but here it is! Photos just won’t do the MV Origin justice. The video will give you a better idea how the decks are laid out, the rooms, and especially the food. 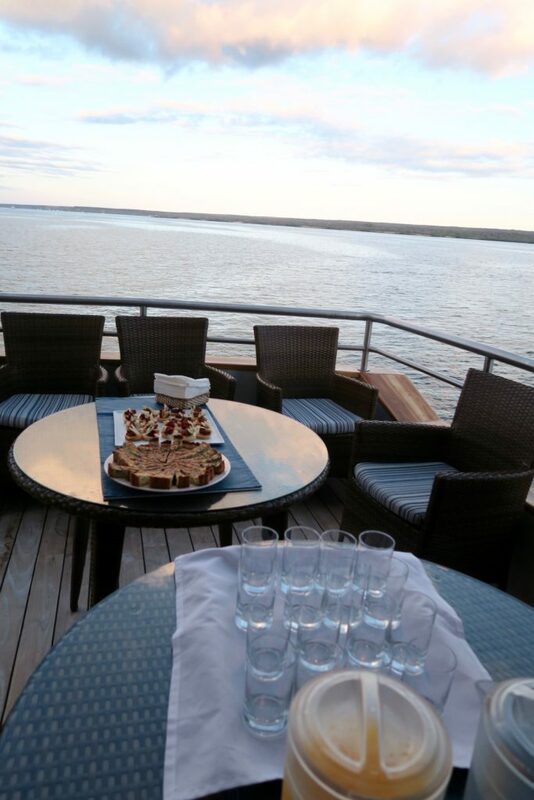 Just above the main deck is the Darwin Deck, where most of the social areas are. Here we have the lounge area, which also doubled as our briefing area. It is where everyone gathered at the end of the day so our naturalist guides Josie and Gustavo can discuss and brief us about activities for the following day. Briefings also served as mini-science classes because our naturalists also gave us crash courses on Biology, Topography, Geography, and more. Everything and anything to do with the Galapagos. Now this area is where the magic happens. Food and socialising! Breakfasts and lunch are served buffet-style, and you can order certain additional hot meals for breakfast separately (ie eggs cooked your way, etc). While having lunch, Jairo, our beloved Food & Beverage/ Dining Manager, would distribute menu cards for dinner. Jairo then will go around the tables and take our orders for dinner. Dietary requirements are handled really well. 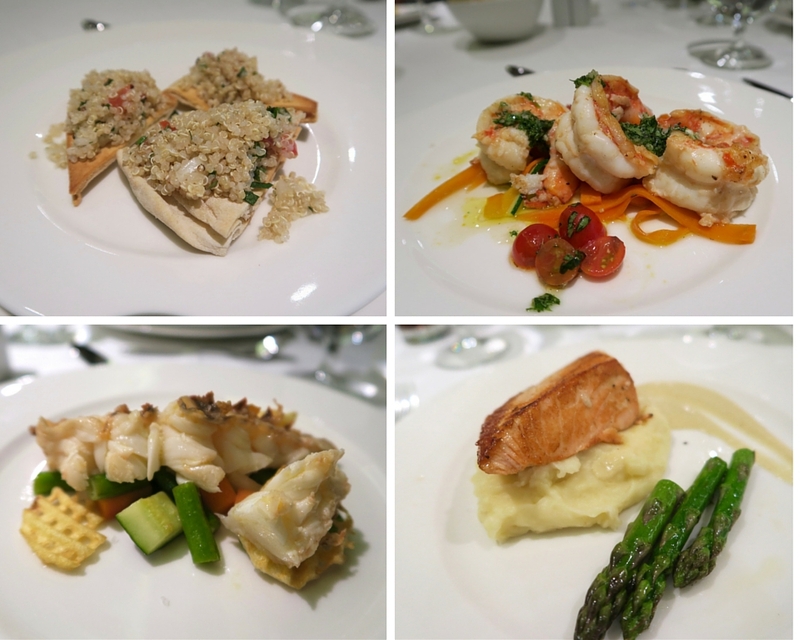 I am pescetarian ( I do not eat meat but eat seafood), and to my delight almost all meals had ample vegetarian and seafood choices. On the occassional (very rare) times that there are no seafood options in the buffet, Jairo is quick to advise me of which dishes contain meat, and I would later have a separate plate of grilled seafood to have along with the vegetables. I enjoyed the food immensely. 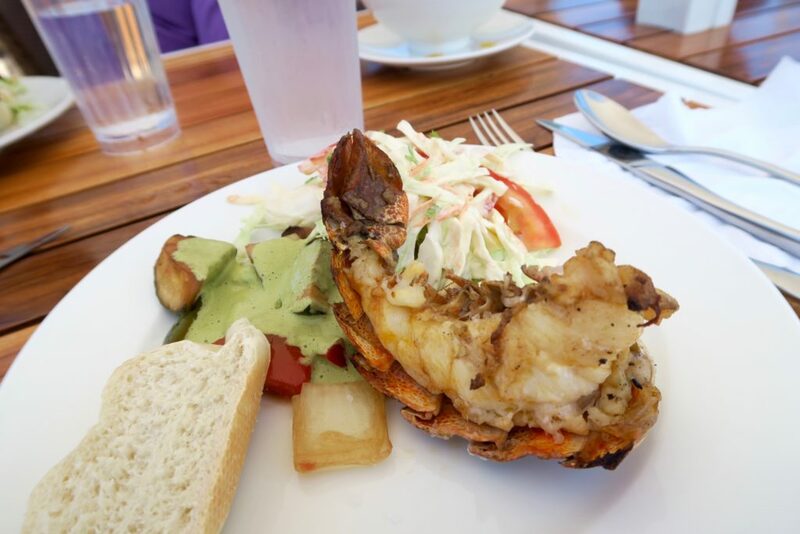 In the 7 nights and 8 days we were there, I don’t believe that any dish was repeated–save for the lobster (that they endearingly call the Galapagos Prawn!) which we happily had twice. Even if they did, I wouldn’t have minded honestly. I still can’t get myself to call this a “prawn”! There are no proper seating arrangements so every meal is a chance to get to know other passengers. You do the maths, we had 7 nights and there were 13 of us, so by the end of the cruise, we all got to know each other fairly well. All of us also had our chance to sit with our Captain Pablo for dinner. 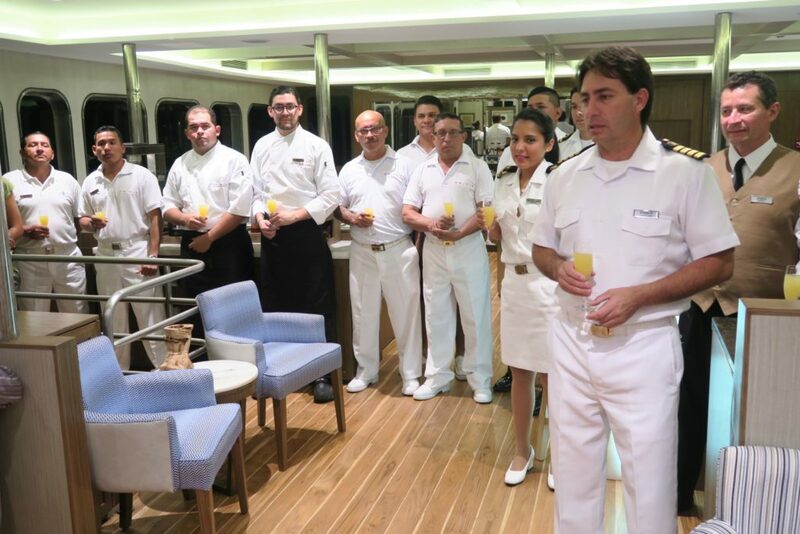 When we had our turn, our Captain regaled our group of four with interesting stories from his years of experience in the Maritime industry and leading the Galapagos Marine Reserve. 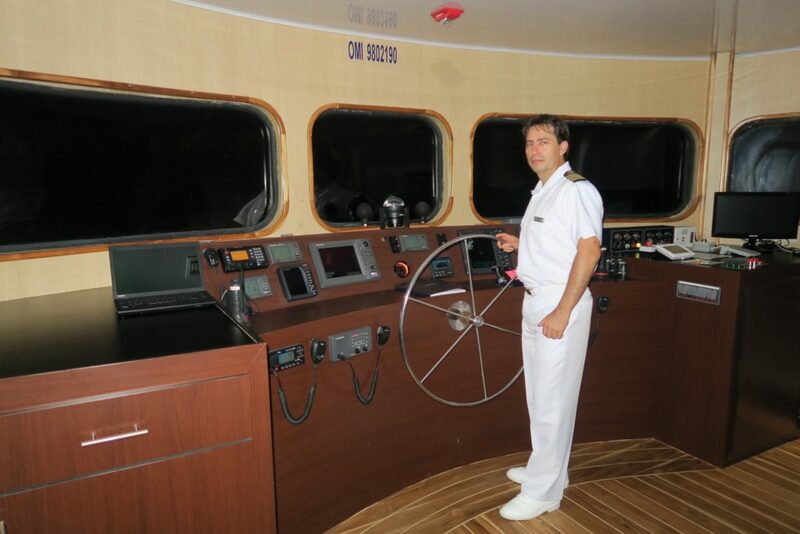 And much to our delight, he gave us a private tour of the bridge after dinner, where we got to have a look at how he navigates us to our next destination through the night as we all sleep. Pardon the flash photography. The bridge, when it is in operation at night, is pitch dark. What you usually see are just the soft glow and beeps of all those monitors and device. And finally, there’s the welcome area at the Darwin Deck. 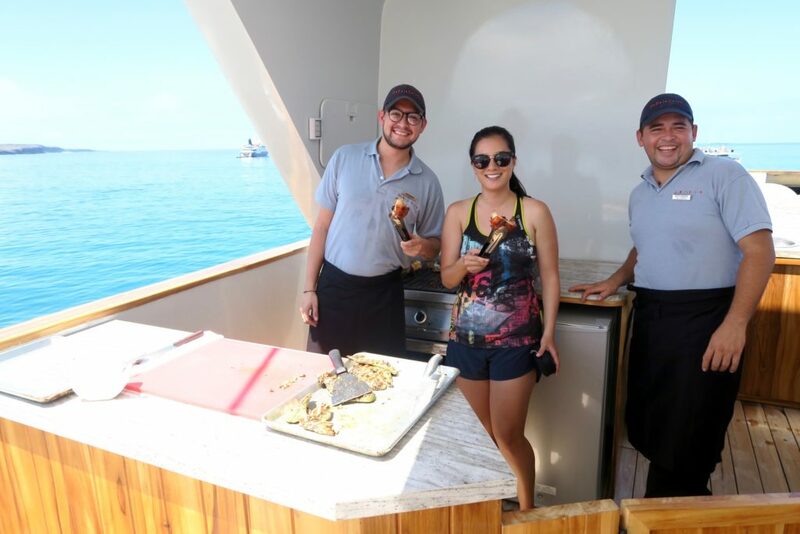 One of my favourite times during the day is when we would return from a session of snorkelling or hiking, and always, Jairo would be waiting with refreshments and snacks. Such a warm welcome back onboard. So you see, we ate constantly in this cruise. Yet it was not the type of mindless and unhealthy binge that one would normally associate in cruises. 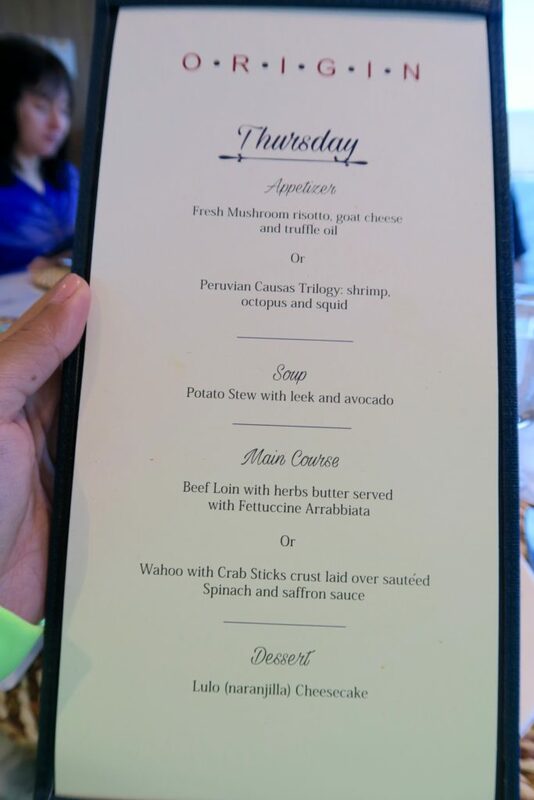 First of all, the food served were quite healthy and fresh. And the second reason, which I believe is the biggest factor, is that we were active throughout the week. We were always doing something physical so whatever we ate was burned off. The bottom most deck is what is called the Finch Deck. The only place I’ve been to in this deck is the gym. In the ideal world, I’d be working out here. I personally just need floor space and weights, which they have. But hey, we’re in the Galapagos – we were naturally working out everyday! 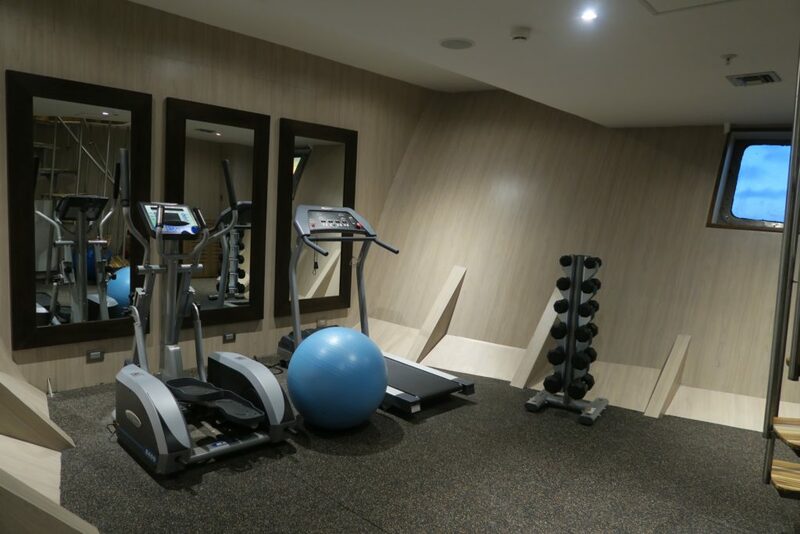 I know of some guests who were more vigilant about their health though and found time to use the gym regularly. #healthgoals ! Now here’s an area where you can see me and most of the other guests, daily (and nightly). The much beloved sundeck. 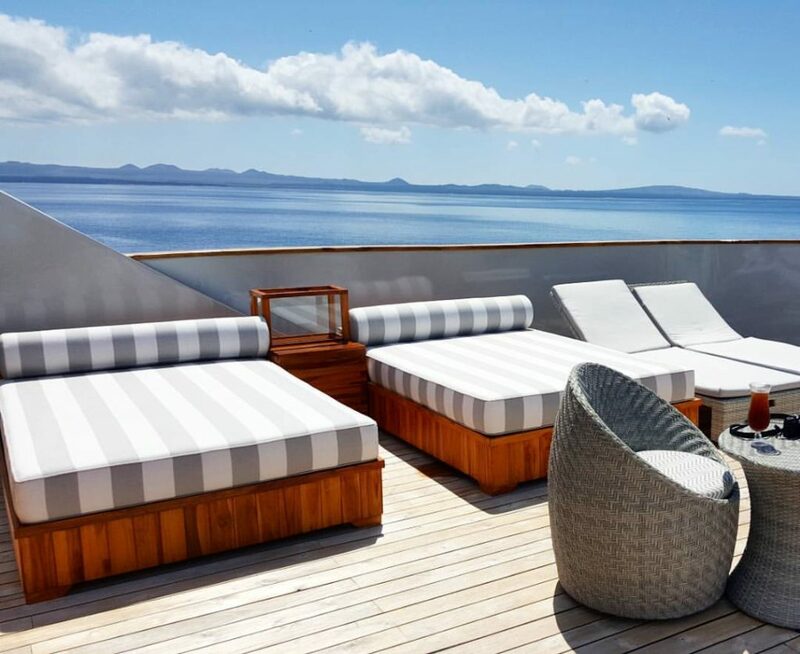 Being the topmost deck, the sundeck is a crowd gatherer as it offers a very relaxing and open space to just chill out, lay by the hammock and enjoy the breeze. This also became a popular hangout after dinner when the sky would be strewn with stars and we’d try to spot constellations. We also spent one sunny lunch on the sundeck where we had lobsters fresh from the grill (more coverage of that on the above tour video). As I always say, hard products can be replicated or even made better by any company. But what sets an experience apart, and what makes memories linger the most is the customer service. 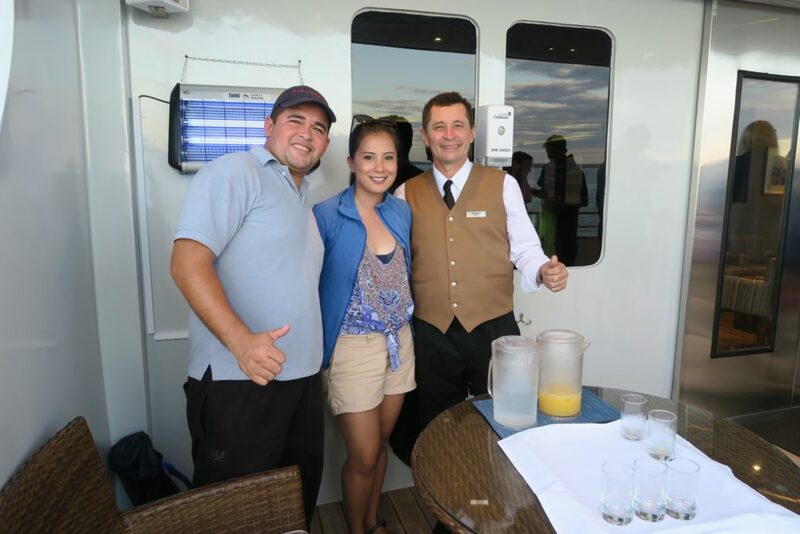 Maria Del Carmen, our Concierge head and 2IC on board. Carmen was our first point of contact whenever we needed anything onboard. It was also her sweet voice that we woke up to every morning as she made our melodious wake up calls. She even indulged one guest’s request to sing during our wakeup call on our last morning! Our two naturalist guides, Josie and Gustavo. 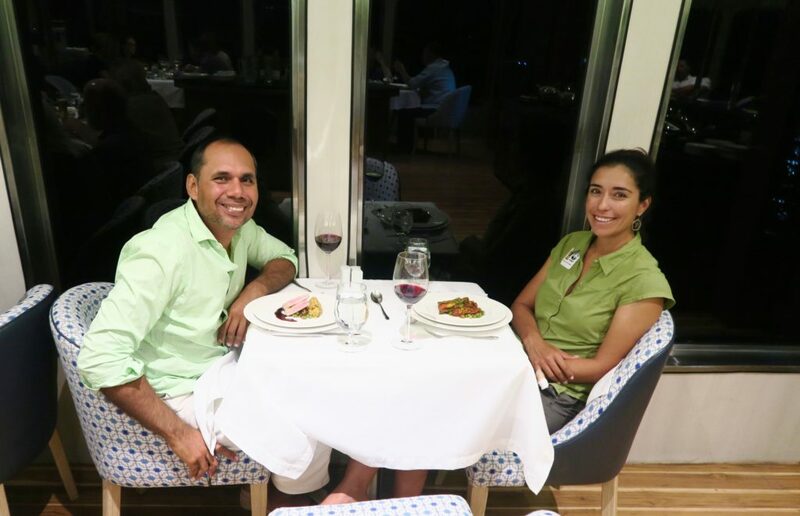 Josie and Gustavo are both Galapagos locals and you can really tell that they love and are passionate about their home. They are qualified Naturalist guides of Galapagos and I dare say they know the inside-out of the flora and fauna of Galapagos as much as Sir David Attenborough. Both are young, energetic and with great atttitude towards guests. One thing they both have in common is the passion to share their knowledge about Galapagos and also the desire to keep and maintain the conservation of the islands. I do have to commend the Food & Beverage Team, specifically Jairo , who as I mentioned above was very meticulous not just with my special meals but to everyone’s needs in general. Everyone was really proactive and ensured all guests were taken care of. 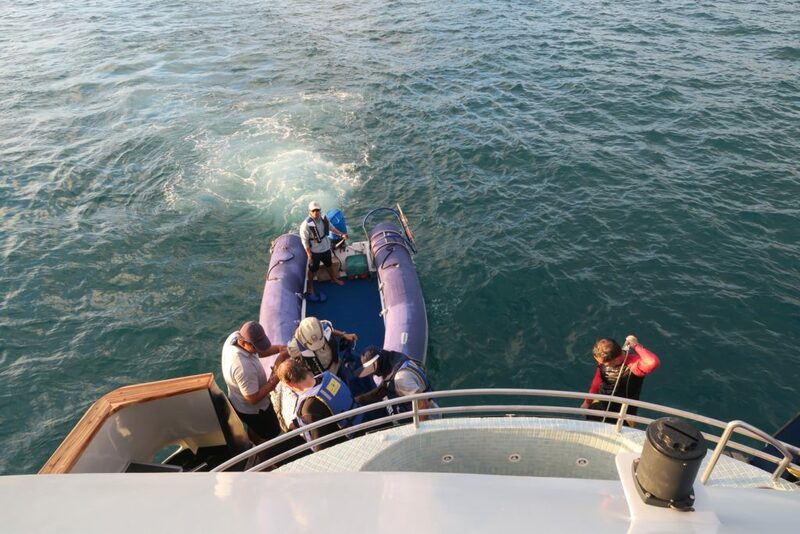 The youngest crew of MV Origin, 18 year-old Christian, even went above and beyond by diving after one of the guests’ reading glasses when it fell overboard during a panga (zodiac) trip. We were all assisted with great care going in and out of the pangas (zodiacs), and whenever we’d return from an excursion, Carmen and Richard (above) would always be waiting, welcoming us back warmly, with Richard often hosing down our sandy feet and sandals for us. The overall feel, great disposition and camaraderie among staff was warmly felt and greatly reflected on the service they provided to us. The Galapagos is a very active destination with lots of islands to explore and wildlife to interact with. Being active during the day and having comfortable and luxurious surroundings as your base really helps in recovering, and getting you ready for more action the next day. This is just the first post / video about the Galapagos. More to come! As of 2016 May- USD 6,500 per person for a double room. Cabin accommodation, all meals and snacks, All beverages including open bar, Captain’s welcome and farewell party, guided shore excursions, Concierge, use of wet suits, snorkeling equipment, sea kayaks and stand up paddle boards, transfers in the Islands between the airport and dock. International Airfare, Airfare to Galapagos, Galapagos entrance fee (park tax), transit control card, premium alcoholic beverages, gratuities to guides and crew (suggested amount is USD 300-350 per person per week), purchases on board, laundry service, and travel insurance. Galapagos Park Tax: The entrance fee to the National Park is $100 for adults and $50 for children 11 and younger and is not included in the cruise rate. Transit Control Card – A TCT card or tarjeta de control de transito is $20 per person and is required by INGALA for all visitors to Galapagos to control migration to the Islands. 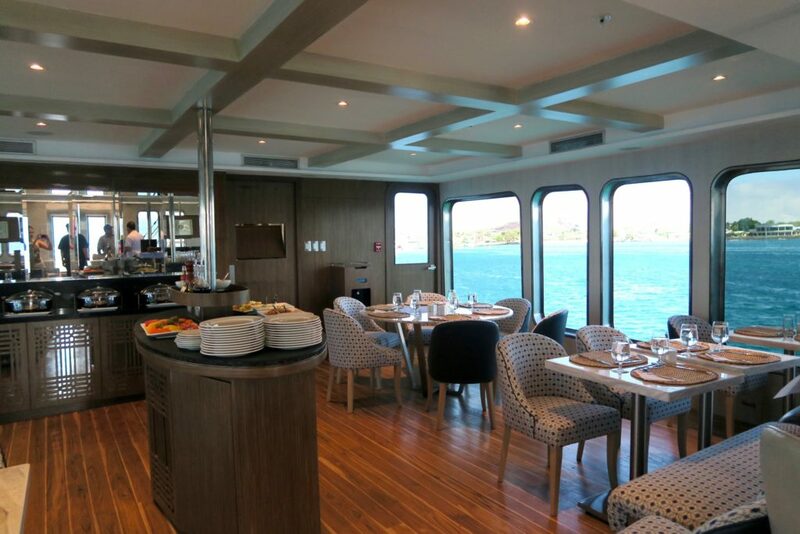 Many thanks to Ecoventura for hosting us onboard the MV Origin on their Itinerary B Cruise. All thoughts and opinions are mine alone. I love the love of the jacuzzi and all that delicious healthy food! Agree, the healthy but filling food was wonderful. We went to the US after Galapagos and that’s when we realised what healthy lifestyles we were living at the MV Origin! Book me in! I’m totally sold that this is a fantastic way to visit the Galapagos. 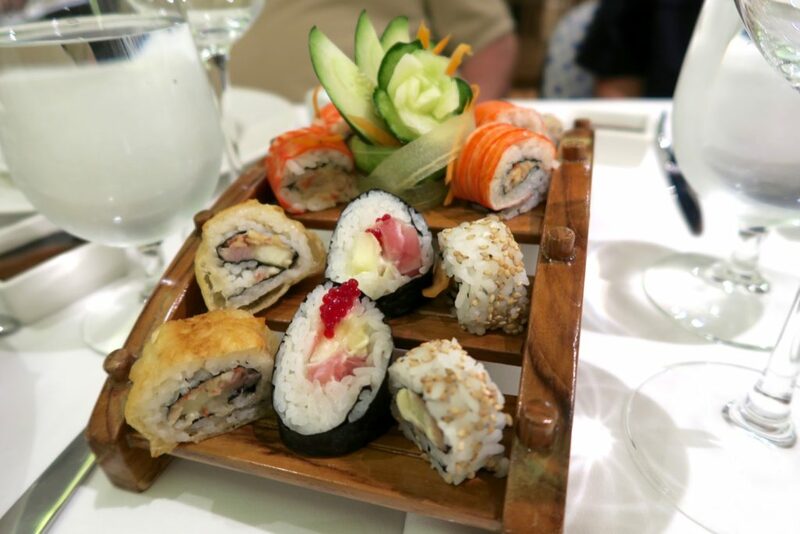 The combination of activity, luxury and healthy food is just ideal. You have transported me right there – armchair travelling is not as good as the real thing but a pleasure still. Will get there one day. Any internet access on the boat? Hi Drew! When I cruised (early May) no wifi or internet access as yet. I’d normally freak out at the thought but it was surprisingly blissful! They did say that the Origin will have Wifi in the future. 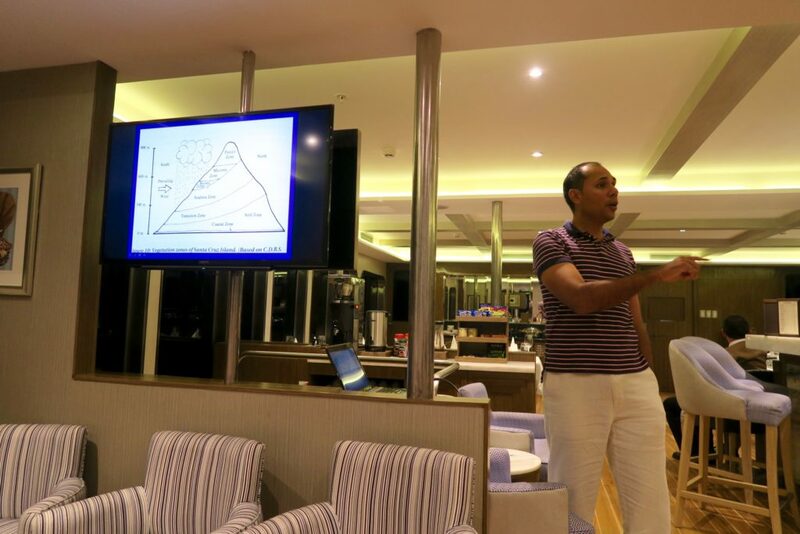 I did read that there is no single supplement for a 7/8 day cruise of the Galapagos Islands on MV Origin, so total cost would be USD6,500 for a single traveller not sharing ?